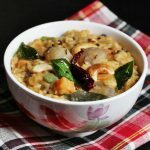 Oats bisi bele bath recipe with step by step photos – A quick, nutritious, wholesome and delicious oats recipe that can be made for lunch or dinner. 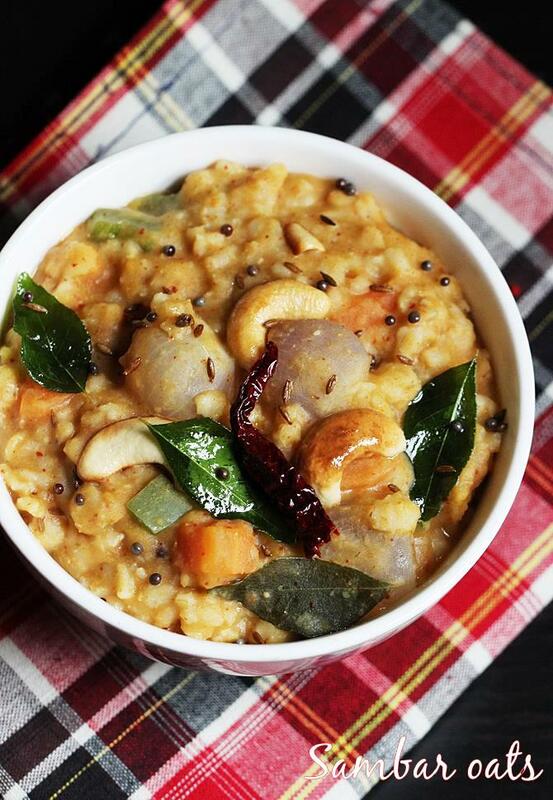 Bisi bele bath is one of traditional dishes from karnataka which is made of rice, lentils, spice powder and tamarind. 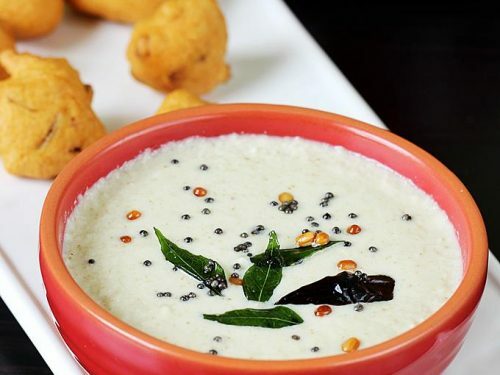 It is similar to the tamil sambar sadam or the sambar rice, but is different in flavor due to the addition of marati moggu, cinnamon and cloves. 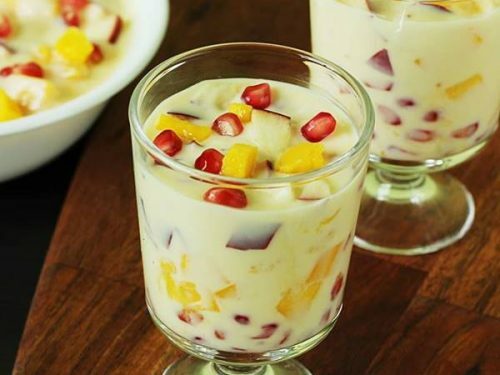 In this recipe, rice is replaced with oats. Either bisi bele bath powder or sambar powder can be used to suit your liking. I have made this the same way a traditional karnataka style bisi bele bath is made but used fresh sambar powder which i shared below. 1. Wash ¼ cup toor dal few times and pressure cook for 1 whistle if cooking directly. 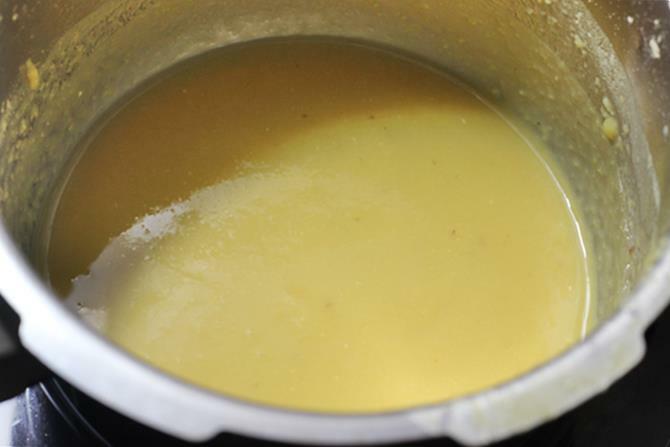 If placing dal in a bowl and then in a large cooker, pressure cook for 3 whistles. While the dal cooks you can dry roast ingredients for sambar powder. Cool completely and powder them. You can also use ready made powder. Soak tamarind in little hot water. Squeeze and extract the juice or paste. Keep this aside. 2. When the pressure goes off, mash toordal completely to very smooth. 3. Add ¾ th to 1 cup water, Bring it to a boil. If using rolled oats use 1 cup water. 4. Add oats. You can use rolled oats or instant oats. If you wish you can roast them first and add. You can also skip roasting. 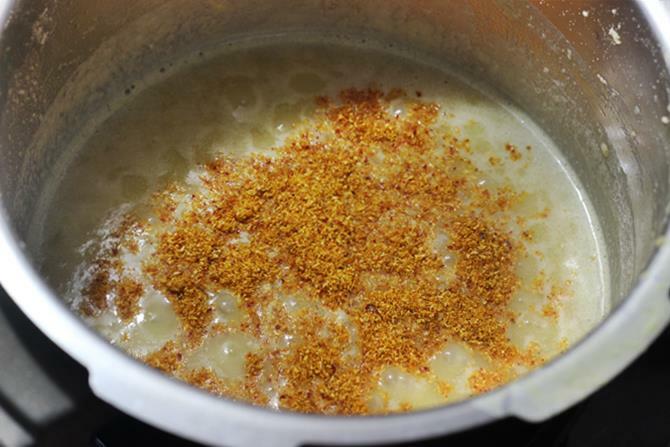 Sambar oats don’t turn sticky since a good amount of sambar or bisibele bath powder is used. 5. 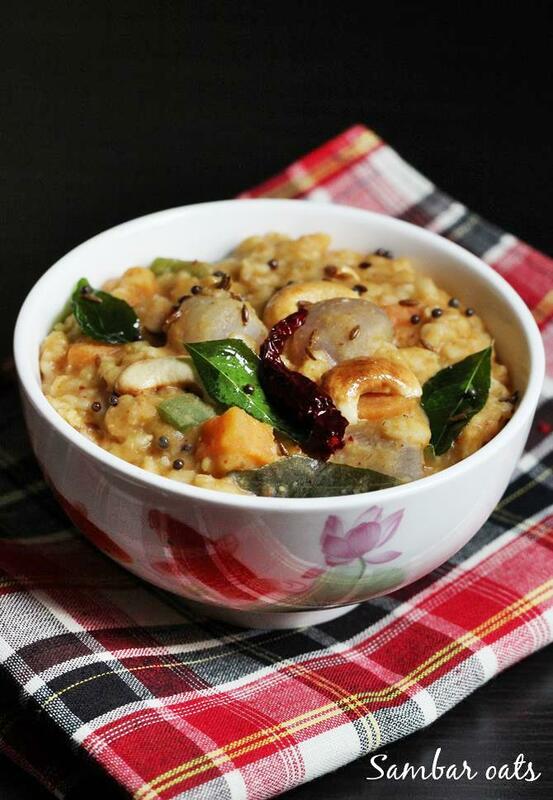 When the oats are cooked, add sambar powder. It can also be added later to the cooked veggies after step 10. 6. Add salt, tamarind paste or juice. I prefer to soak tamarind in hot water and then filter the juice. 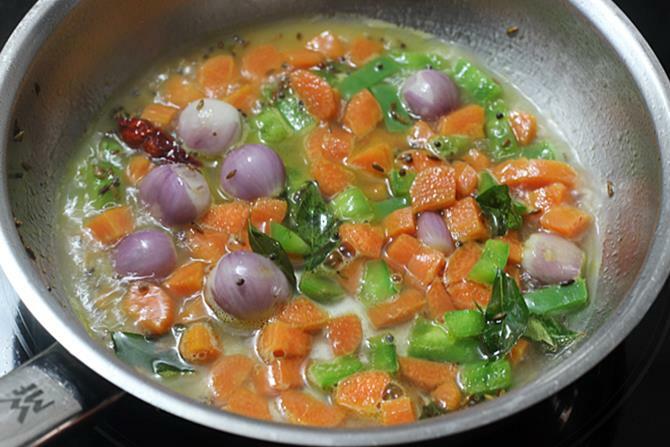 Simmer for 4 minutes to bring out the flavor of sambar powder. If needed add more water to adjust the consistency. 7. 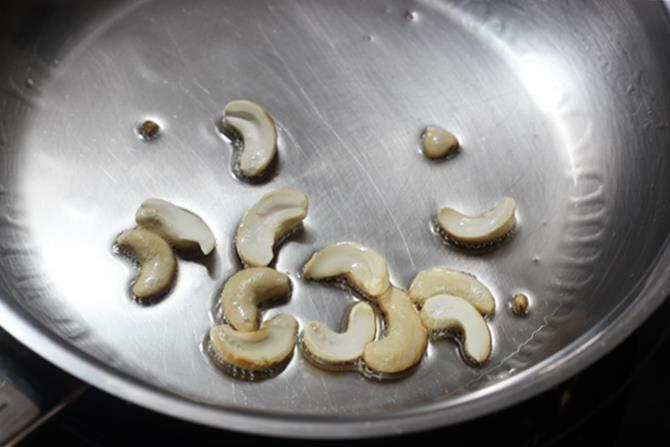 If you like you can fry few cashews in hot ghee or oil. Set them aside. 8. Add mustard, cumin, red chili. When they splutter add curry leaves and hing. 9. 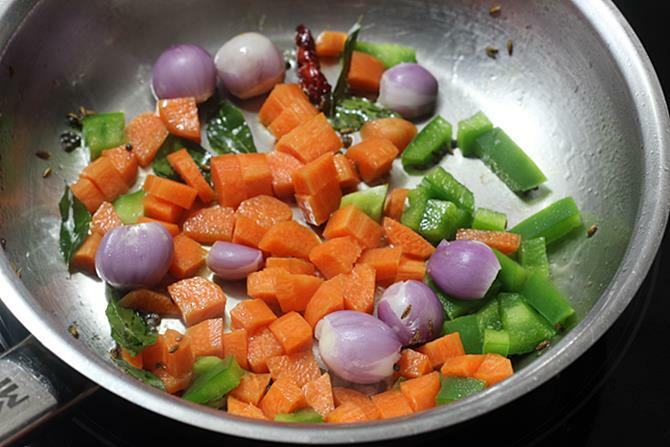 Add sliced onions or shallots, chopped carrots and capsicum. 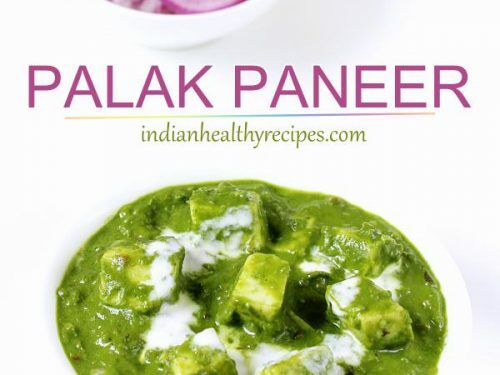 You can also add few chopped radish, beans, green peas. Fry them for 2 to 3 minutes. Chopped tomato can also be added. If using fry until they turn completely soft. 10. Add water just enough to cook them. Cook until soft. 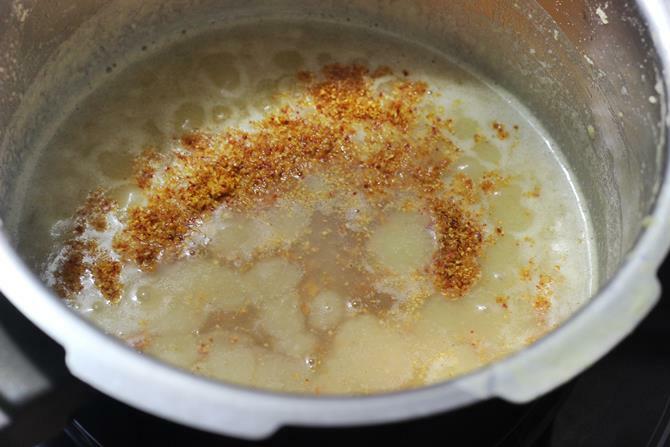 If you have not added sambar powder at step 5, you can add now and simmer for 3 minutes. 11. When they are soft cooked pour this to the sambar oats. 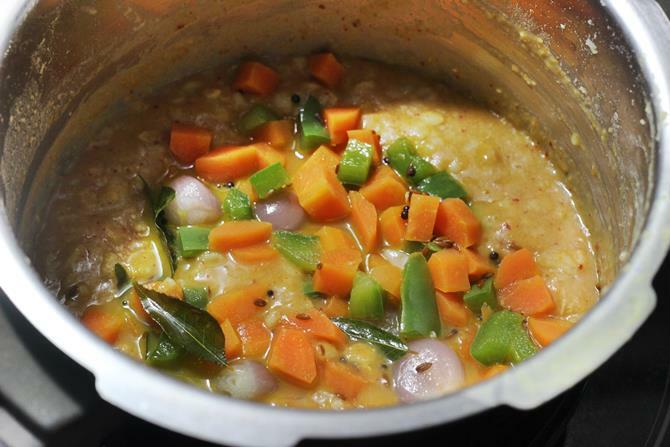 Stir and simmer for a while for the veggies and sambar powder to blend well with oats. 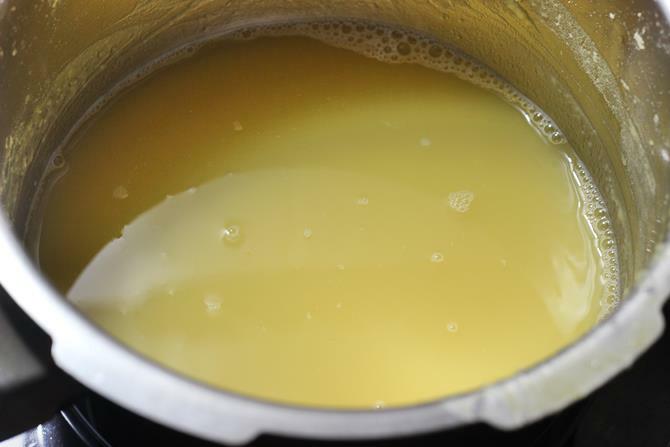 Add more ghee if desired. 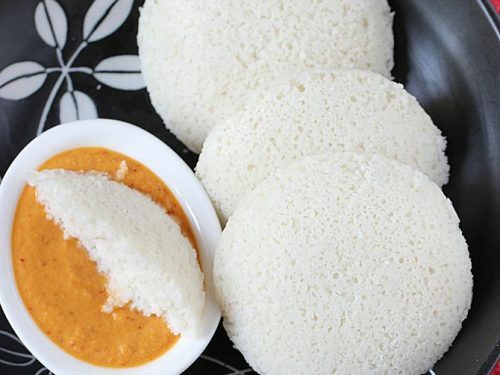 oats bisibelebath can be served alone or with pickle, papad. 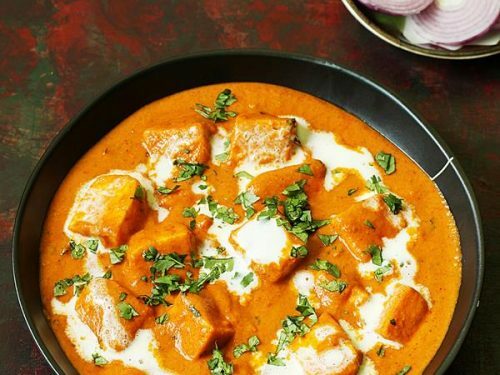 It tastes best when slightly hot or warm. 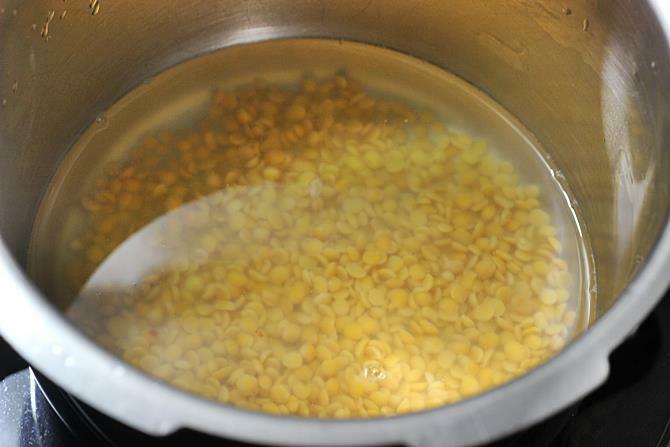 Cook dal till smooth in a pressure cooker or in a pot. Mash it to smooth. Add more water and bring it to a boil. Add oats and cook until soft. Add sambar powder and tamarind juice or paste. Cook on a low heat for 3 minutes. Make the seasoning by heating ghee in a pan. You can also fry cashews and set aside. 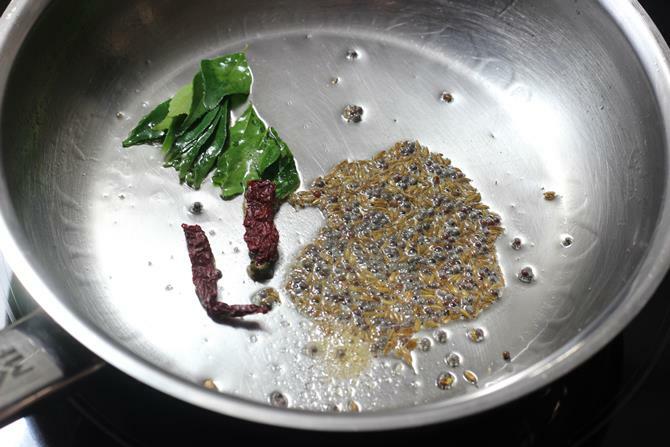 Add red chili, cumin and mustard when they crackle, add curry leaves and hing. Fry the veggies in this seasoning for 2 to 3 minutes. Pour water good enough to cook them until soft. 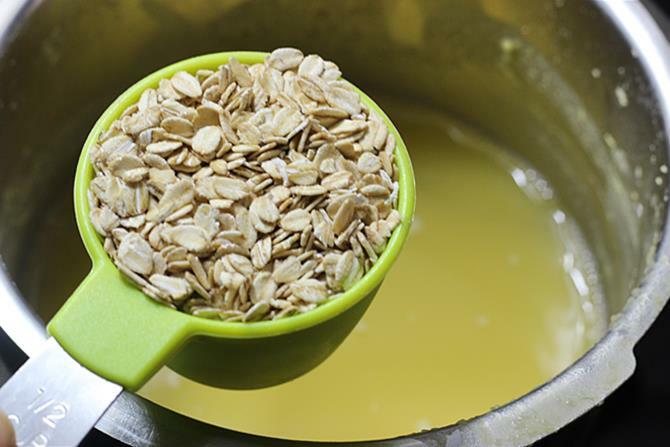 When completely cooked, add the seasoning to the cooked oats. Stir and simmer for a while. Serve oats bisi bele bath with pickle or papad. 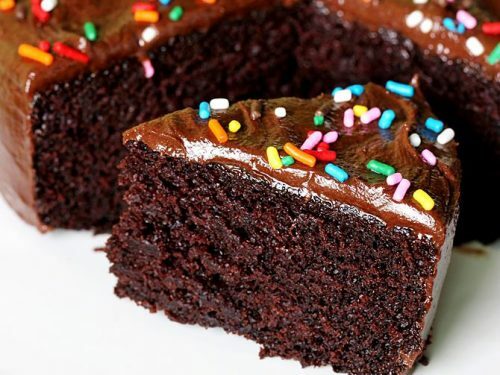 Tried this recipe but after sometime I felt it became slimy ! I even roasted the oats before powdering . Why is tat ? The recipe doesn’t call for powdering the oats. It got slimy because you powdered it. Hope this helps. Yes do try and share how it turned out. 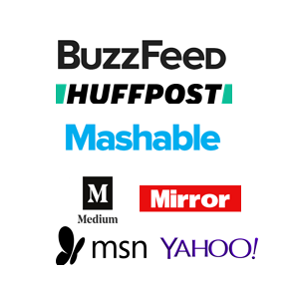 Thanks for the feedback on bisibelebath.